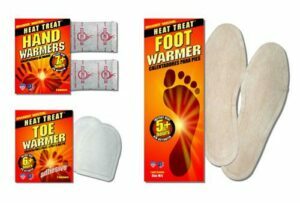 The Importance of Extremities – How Long do Hand Warmers Last? About three years back, I was on an ocean trip targeting yellowtail. It was April, and while never really cold, the mornings can get a bit brisk. Our first stop on fish was just after sunrise. The cool ocean water had chilled a slight breeze that cropped up, and my hands were cold. I hooked a sardine and went to cast off the stern (back) of the boat. Using a little too much force, my hook ripped through the sardine which changed the weight and balance of my rod in mid cast. I wasn't at all ready for this, and the light grip I had wasn't enough to keep my rod (reel, hook, line, and sinker) from slipping out of my hands. I watched in shock as it all quickly sank to the bottom of the ocean. The moral of the story is, “You can't fish very well if you can't feel your fingers”. Of course some fishing environments require extra measures, and fishermen can't afford to run out of heat. So let's get into it and answer that question, “how long do hand warmers last”? 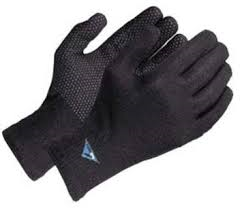 Look up hand warmers on any online search engine and up comes all sorts of different products. 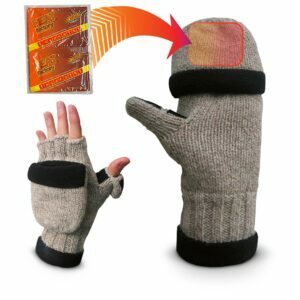 Inventors go crazy over accessories like hand warmers. You'll see sites that review (and sell) all sorts of kinds of hand warmers. Many of these I checked weren't very practical for fishing purposes. You can check this forum for Many of the electrical, or battery charged hand warmers are able to offer long duration of use, but then what? I started wondering how well these products might work in the outdoors. You'd have to carry extra batteries for longer trips, and what if they get wet? We all know that fishermen get everything wet. It turns out, many of the non electrical warmers last much longer anyways. This inquiry led me to believe that options like waterproof gloves, and other non electric products would work better for fishermen. Of course, if you have an electric model that's waterproof and works well, we'd love to hear about it. You can also read what ice fishermen have to say about some of these products on this forum. Depending on what kind of hand warmer you ultimately choose to go with, they can last anywhere from 15 minutes to a whole day. The deciding factor that determines how long any particular hand warmer will last, is the fuel source it uses to produce the heat. Some of the products out there use pouches filled with chemicals. Once the catalyst is introduced to the chemical (usually by breaking a sealed sack within the pouch), the product heats up. A lot of you have probably seen these products in the first aid section at the pharmacy. Be forewarned that there is a wide range of heat duration even among these chemical heat source products. Another issue you might find is that they work good for a couple hours, then give off much less heat. For this reason, I was more enticed by the lighter fluid models that could last between 12 – 24 hours. They simply need refilling for continued use. Models that burn charcoal in a special case impress me as well, and can have a heat life of up to 6 hours. How Long do Hand Warmers Last if you Can't Feel Your Feet? They last just as long as they're supposed to last, but they still won't help your feet. Don't forget about your feet. They have to be at least as important as your hands! I've often found in cold weather that it's easier to warm up my hands than it is to warm my feet. In real extreme fishing conditions it won't matter, you'll have to take care of both. “How long do hand warmers last?” should be one of your main questions if you plan on fishing the ice, or other cold locales. Make sure you have enough hours of heat to last your trip, and take care of those fish fighting feet. Pamper those fish pulling hands!